Several readers have asked whether the Guru 360 gimbal for 360 cameras also works with smartphones. The answer is yes. Here’s a demo. The Guru 360 (reviewed here) is the first affordable stabilized gimbal for 360 cameras. Although it was designed for 360 cameras, it can be used with smartphones as well. 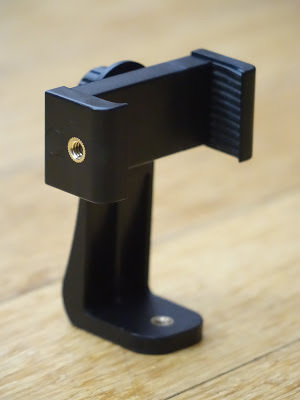 You just need a smartphone tripod adapter, like one of these. The one I most prefer is this one, because it can be used to hold the smartphone horizontally or vertically, and it uses a screw drive rather than springs. 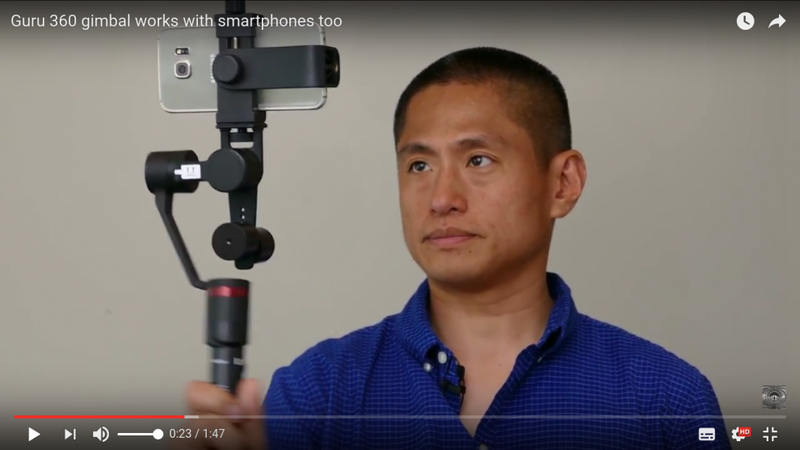 You attach the phone with tripod adapter to the Guru 360. When you do so, make sure the phone is balanced as much as possible. One way to tell is to see if the phone is vertical on the Guru 360 even with the motor off. Once the phone is balanced, then you can use it the same way as a 360 camera on the Guru 360, even inverted. But in portrait mode, I can feel the motor working very hard (I can feel the vibration in the handle). Also, please note flashlight mode (where the handle is held horizontally) still hasn’t been added to the Guru 360 (but it will be added in the future). Finally, keep in mind that to use the phone inverted, you have to balance the counterweight (again, you can test with the motor off first). You can buy the Guru 360 here from GimbalGuru. It’s $299, which is not cheap, but it’s the most affordable gimbal for 360 cameras, and it also doubles as a gimbal for smartphones. Feiyu G360 gimbal for 360 cameras now in stock at Amazon!